Dennis Darling of Braintree and Mendon and Some of His Descendants, 1662 to 1800, by William and Lou Ella Martin, 2006. Self-published. Still under copyright, the book may or may not be available online. When I bought it I was told there may be no more copies available. You can see the Worldcat entry here, with some library holdings, and definitely try the Familysearch entry. I highly recommend consulting this book. 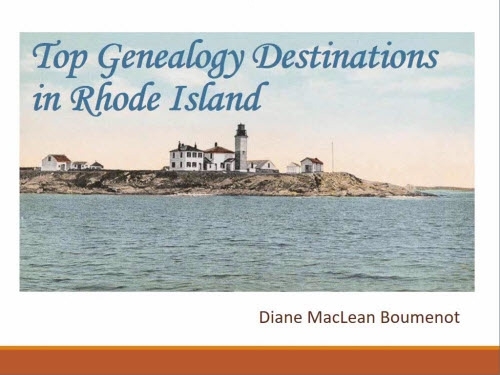 In addition to genealogical information on the Darlings, the book contains brief sections on the intermarried families of Cook, Southwick, Thayer, and Thompson. 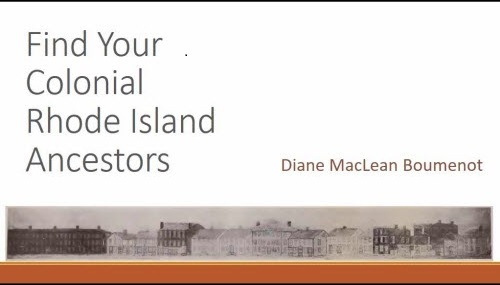 There are about 5000 footnotes which will help you find specific records concerning your ancestors. Dennis Darling of Braintree and Mendon and Some of His Descendants. By William A Martin and Lou Ella J. Martin. And that is where things stood. Not much genealogy drama here and few mysteries. 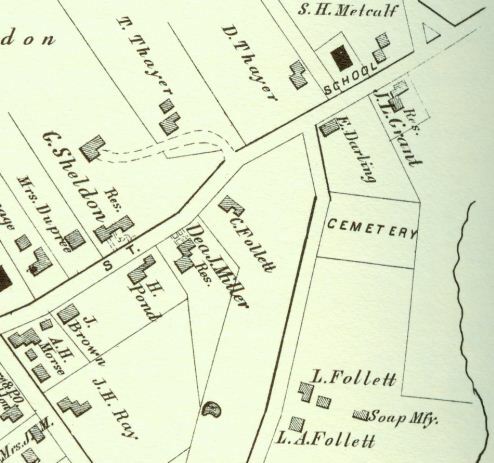 My branch of the Darlings ended up in Sheldonville, Massachusetts, where my gg-grandfather Addison Parmenter Darling was born in a farmhouse built by his great-grandfather, Nathan Aldrich. Many of these folks are buried in the nearby Sheldonville Cemetery which I have visited many times. Like all branches of my mother’s family, they left few breadcrumbs behind, few mementos, and almost no pre-1880 pictures. I often picture my New England ancestors on a chilly winter night gathered around the fireplace carefully burning anything that might, one day, be of the remotest interest to me. This week I took the train up to Boston for a day to visit the New England Historic Genealogical Society library on Newbury Street. 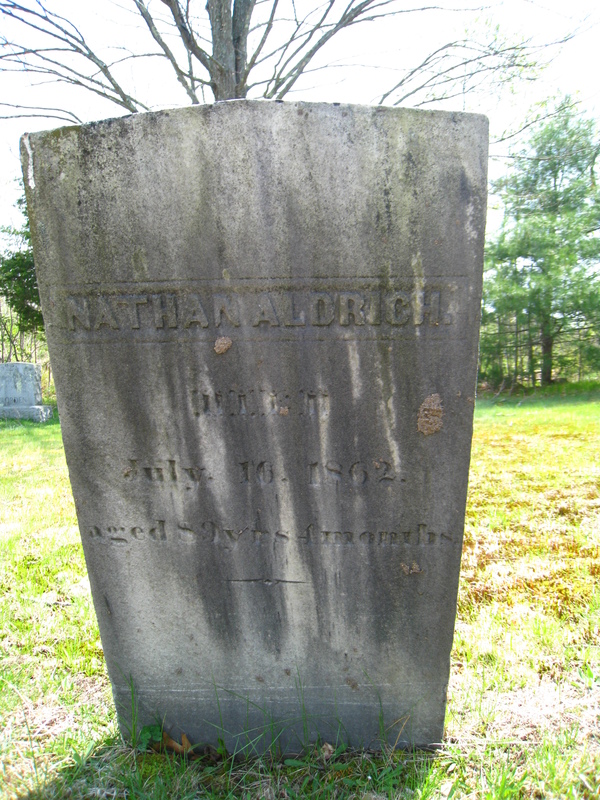 I had two missions – read New London County and Windham County, Connecticut probates on microfilm for any member of the Minor/Miner family, 1780-1840, seeking a parent for Lydia (Minor) Lamphere and also, look at a manuscript on the Brown family of Sudbury, Massachusetts, seeking the parents of Nathaniel Brown. I did both those things and found nothing, although in each case, the absence is something to note and may serve as evidence of some sort. But all in all, not a successful day. I had no other plan, and an hour and a half to go before the train. The New England Historic Genealogical Society was founded in 1845. 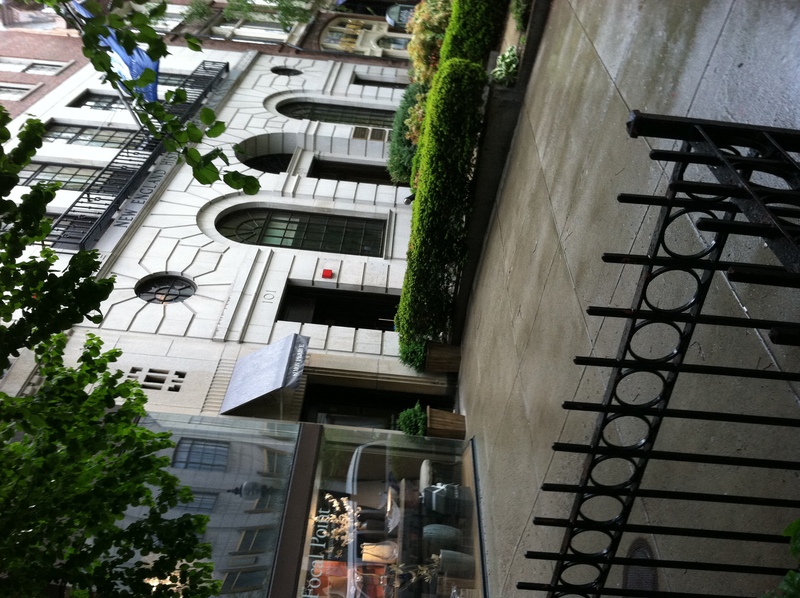 A visit to the Library on Newbury Street, Boston is possible for non-members by paying a small fee. Manuscripts are only available to members. Photo, 2011, by Diane Boumenot. So I decided on a whim to pursue a clue that had been sent to me in the few emails I exchanged with William Martin, co-author of the Darling book noted above. He recommended that someday I should look through the manuscripts of Carlos Parsons Darling, a previous researcher of the Darling family, which were held at the NEHGS library, where he had viewed them. He said they had been very valuable to him. I guess that’s the difference between my early genealogical self, that figured, well, Mr. Martin had perused it all and created a handy guide to the descendants of Dennis Darling. Not sure I needed to see the manuscripts. NOW I would think, there must be more material there that didn’t make the book. I wonder what it is! I went to the manuscripts desk and asked about the collection. I knew from the card catalog that it was 40 boxes and that a finding aid existed, but was not online. The librarian pulled it up on her computer. It’s not public because it’s not quite finished, and it was 125 pages. We found several folders I thought I might be interested in and I requested those. Wow. Just wow. Mr. Darling (1876-1951) was a heck of a genealogist. 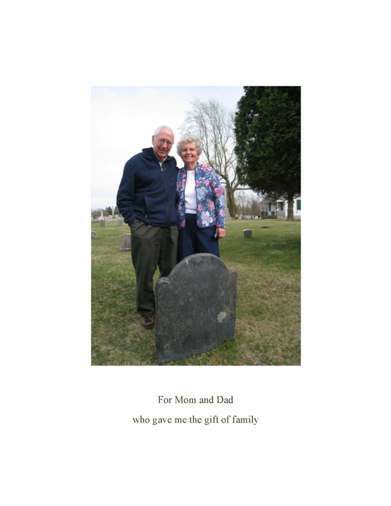 The Carlos Parsons Darling Genealogical Collection is Mss. 1048 at the NEHGS library. A resident of Lawrenceville, Pennsylvania, Mr. Darling served in many leadership roles among genealogical and legacy organizations and researched all Darling families as well as similar names and some allied lines during his lifetime. His copious notes and files were never turned into a book although that had been his intention. They now comprise 40 boxes containing 3000 archived folders. 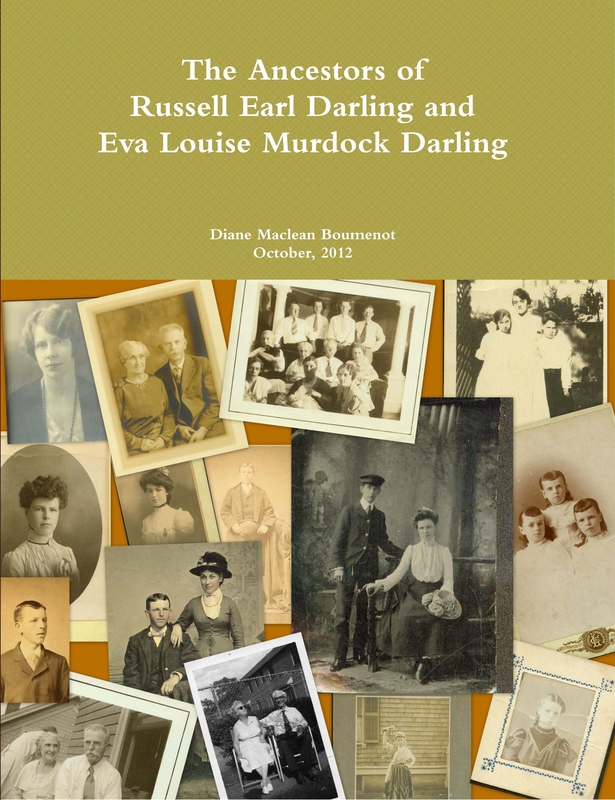 Among the materials are notes on individuals, family groups, and correspondence with Darling family members. Although I can’t reproduce much of the collection, let me show some snippets. I was so impressed that most of his notes were all about the source of the information. 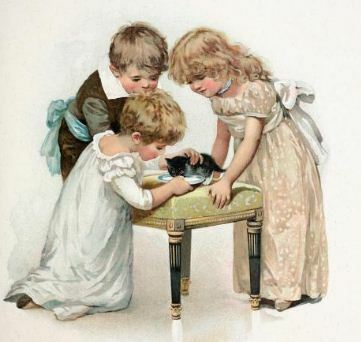 Of course there are many genealogical notes about family groups. Below are some notes on an allied line, Paul Healey, whose daughter Hannah married John Darling III. Paul Healey is my 7x-great grandfather. Notes on my ancestor Paul Healey in which evidence for the second marriage of his widow Hannah (Titus) Healey is cited from her father’s probate record. 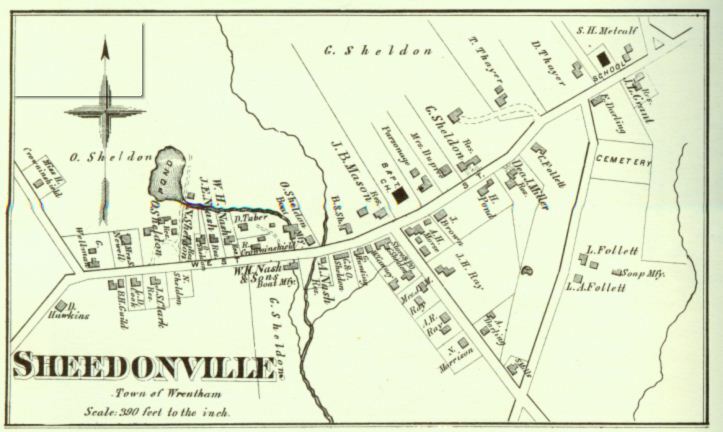 An examination of deeds provides evidence that my 6x-great grandfather John Darling III was an early owner of part of the Burnt Swamp Road property in Sheldonville. 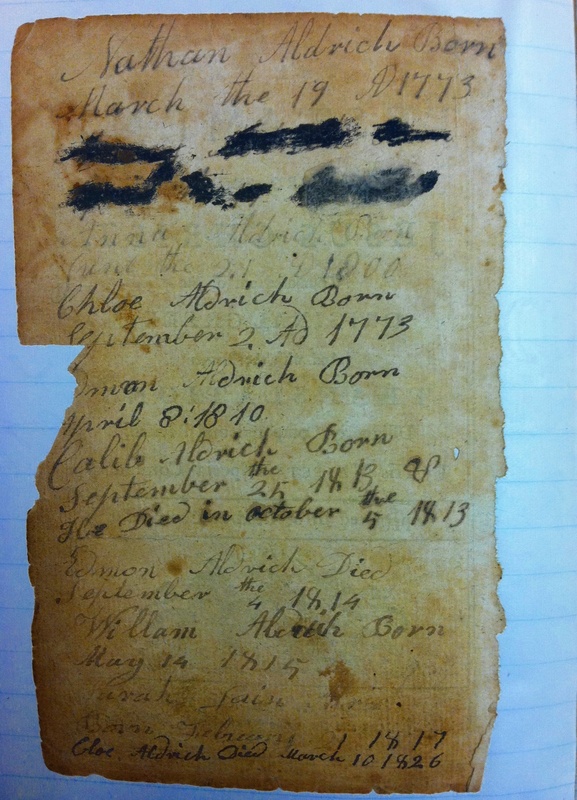 Notes from John and Hannah Darling’s 1794 deed conveying half their homestead and 45 acres in the Burnt Swamp area, near my 6x-great grandfather Asa Aldrich. 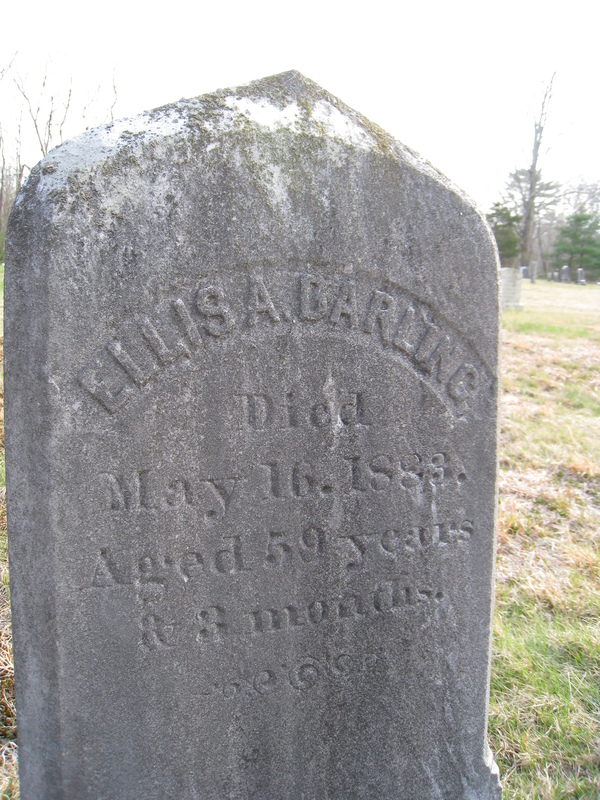 Four children are recorded to Elias and Nancy Darling, at Wrentham, but it would seem there were others. Something unusual happened when I was examining the folder titles. I could see the name of Grace (Darling) Remlinger. I realized that if he followed usual procedures, Mr. Darling had probably placed notes or ads in the local area; who knows where but perhaps in local newspapers or libraries, and my grandmother’s Aunt Grace might have replied. I was really stunned that any member of my family would have bothered with such a thing. 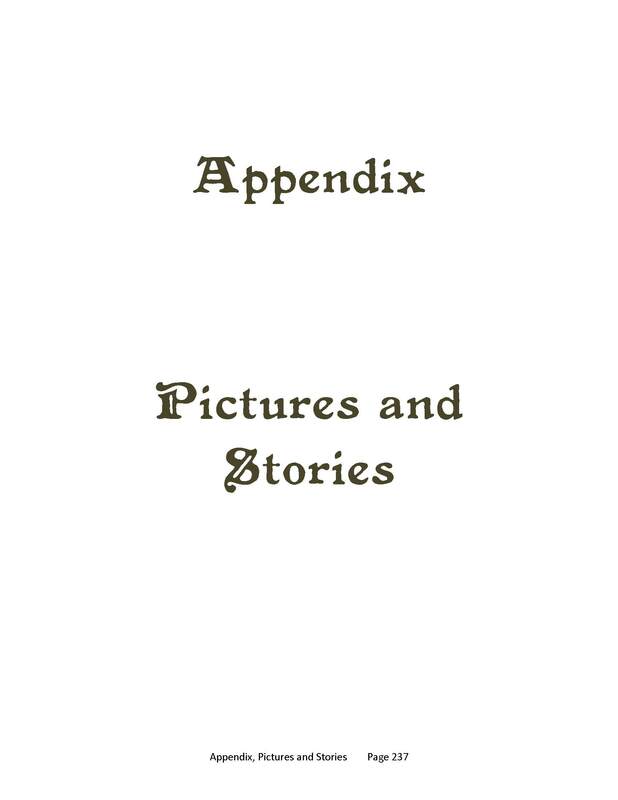 I was amazed to see my grandmother’s name, Edna May Darling, along with her brother, Russell, on folder titles. Aunt Grace (dark hair) with her sister in law, my great grandmother, Eva Murdock Darling. Aunt Grace is the daughter of Emma Lamphere Darling, my link to the mysterious Lampheres and Andrews who keep me up at night conducting bleary eyed planning, searching, and deciphering. I am anxious to see what she might have had to say about her mother. At last, at the very least, a really definitive birth date from Tuscaloosa, Alabama. But in the end, after examining everything, I think the info was probably supplied by a local contact in Providence who visited the City Hall records. So my relatives’ perfect record of leaving no breadcrumbs behind is intact. 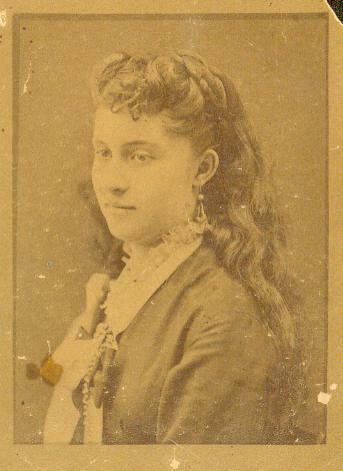 I realized that very far down in the list of folders, there were a set of folders for various cousins also descended from Ellis Darling, that I already knew a few things about, or have been in touch with descendants of – Abby Darling Mead and her daughters, Sarah Darling Swan and her sons, as well as several others I did not know anything about. I think a couple other descendants, particularly Francis William Darling and Mabel Holmes Mead, contributed. 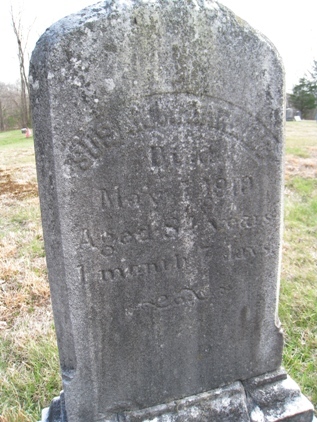 My particular line was stopped early in the Martin book (Dennis Darling of Braintree and Mendon) because it was not their intention to document the whole 19th century, plus it’s easy to get confused about Ellis Darling’s children and grandchildren since there are a few errors in the vital records. In fact, Carlos Parsons Darling definitely scrambled the children in one or two areas, or else I am not understanding his notes. But this manuscript was the first time I had seen written work on my nineteenth century Darling line. 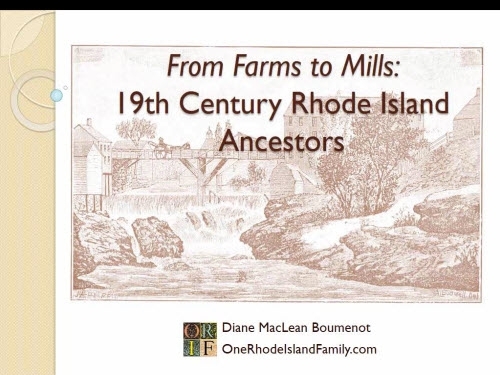 I learned that my Healey ancestors were early settlers of Rehoboth, Massachusetts, which means I can be a part of a DNA project on early Rehoboth settlers. Not sure what’s up with that, but I’m checking it out. And, they were members of the Newman Congregational Church, kind of an important local landmark with a great cemetery. I spent a week happily entering a slew of middle names, spouses, and death dates into my records. Yay! On a side note, funny how deeds start to make sense once you know all the names of the sons-in-law. I also found important notes on occupations for some of my direct ancestors. The early Darlings and Aldriches were a long line of housebuilders. 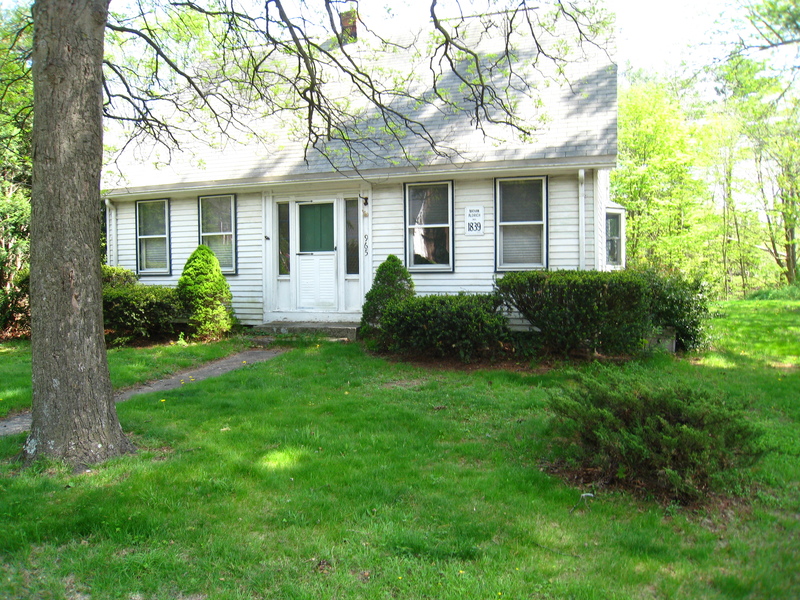 I have found existing Aldrich-built houses, perhaps I will find some Darling houses. Some of these names were only noted after I returned from Boston. And I only photographed some genealogy notes, I did not read any actual correspondence or check for pictures, etc. So I will have to make a return trip to see more of these items. I can’t wait. Family photo from around 1903: Back row: unkn., Louis Murdock, Russell Darling, Addison Darling Sr, unkn. Middle row: unkn., unkn., Eva Murdock, Grace Darling, Sarah Darling Swan (I think), William H. H. Swan (I think). Front row: Addison Darling Jr., Jessie (McLeod ) Murdock, Emma (Lamphere) Darling.